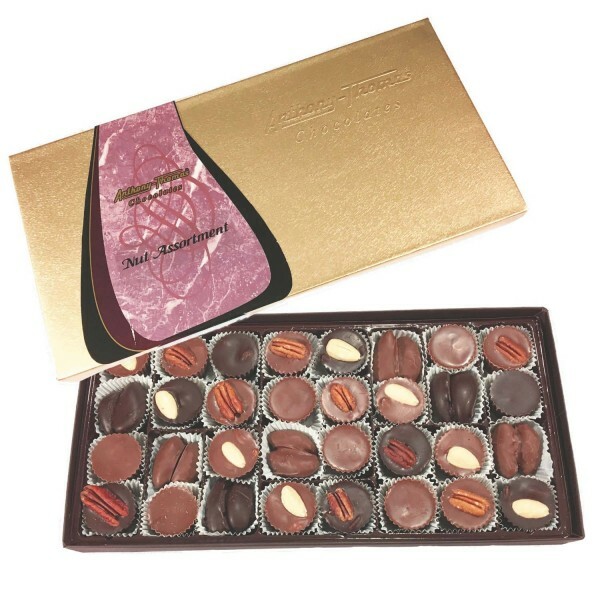 Chocolate Nut Assortment 16 oz. A variety of salted, house-roasted nuts, including cashews, pecans, almonds and Brazil nuts covered in our premium blend of chocolate. Molded into a bite-size piece. Available in Milk Chocolate, Dark Chocolate, and Assorted.